It's always fun to gear yourself towards shopping locally. Not only is it good to help local merchants, but you will get to find unique and interesting items to add to your wardrobe. In Williamsburg, there are two shops that we consider a ZYDE favorite. They both split the space and create a different shopping experience (with original finds). This shop offers a great collection of menswear and womenswear items. 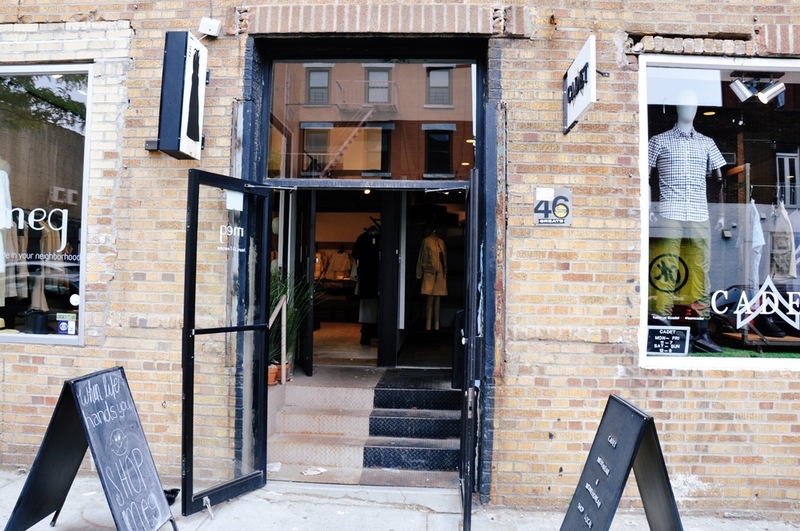 The store has a military chic vibe and features clothing only from Brooklyn-based independent designers. You will definitely find some interesting pieces in this shop. This store, Meg, isn't exactly considered local. However, it is perfectly curated to Williamsburg, which gives it a local vibe. In this store you will find fun womenswear pieces with minimal lines that are perfect for a wide variety of occasions. Even though you wont' be supporting local merchants, you are supporting an independent designer. Check out this local shop and support local merchants.